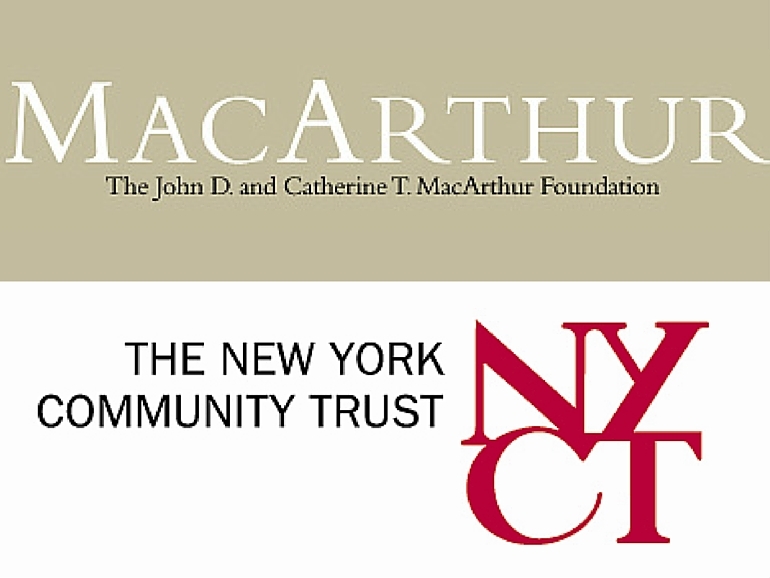 Mouse greatly values its partnership with The John D. and Catherine T. MacArthur Foundation and The New York Community Trust, which is providing exciting and engaging opportunities for our students in the areas of technology and digital media. The MacArthur Foundation is dedicated to supporting opportunities that involve the use of digital media in changing the way young people learn, socialize and participate in civic life. Mouse is honored to be participating in HASTAC Badges for Lifelong Learning Competition for Digital Badges, recognizing the importance of the web in supporting young peoples' learning and growth. The New York Community Trust is the largest private funder of nonprofits in the city, awarding grants to organizations important to the well-being and vitality to NYC. To expand possibilities for digital learning and support nonprofits across the city that are engaging and inspiring youth through technology, the MacArthur Foundation and The New York Community Trust created the Hive Digital Media Learning Fund in 2010. Mouse is a founding member of this fund, which provides grants to members of the Hive Learning Network NYC, a community of organizations dedicated to youth and learning. Supported by the Mozilla Foundation, Hive NYC links educators from libraries, museums, media organizations and after school programs to collaborate on creative, digital projects with youth. These projects weave together opportunities for youth to explore their interests while making things with digital media tools and the web. Mouse has been instrumental as a founding member of the Hive Learning Network in New York City. Mouse was very excited to receive its first grant from The MacArthur Foundation and New York Community Trust to support Emoti-Con! 2012, an annual NYC youth showcase of digital media and technology, developed through unique grass-roots collaboration amongst a small number of NYC youth-serving organizations. In December, Mouse and our Emoti-Con! partners, Global Kids, Parsons The New School for Design and the New York Public Library were awarded a $100,000 grant to expand the festival which is embarking on its fourth year. Emoti-Con! provides an essential face-to-face venue for youth to get offline and connect through their common identity as youth media producers and technologists. Building on the huge success of the pilot festival in 2009, the conference has expanded to include a youth project fair, project design competition, and career-focused networking opportunities. Through our partnerships with The MacArthur Foundation and The NY Community Trust, Mouse looks forward to expanding opportunities for digital learning and collaborating with other youth-oriented organizations across the city. < Vallemar School in Pacifica, California, Featured on NBC News!